Trying on denim is not the world's kindest undertaking. However, e-tailer Ayr's freshly debuted denim trial service may transform the previously painful process into a downright enjoyable activity. Following in the footsteps of other try-and-buy services in which consumers can order several items online, appraise them at home, and send them back if unsatisfied, Ayr now offers consumers the same option for only a dollar. Ayr is beloved amongst its loyal fan base for the timeless wardrobe staples it provides from a plethora of denim styles to slim, chambray button downs and silk camisoles. But the company's new denim endeavor, entitled "Home Try-On," may prove to make the company even more indispensable. For only $1, Ayr consumers can select a single pair of Ayr's Skinny in Jac's Jeans to test drive at home instead of experiencing the humiliation of conducting the same experiment in a department store dressing room. Shoppers may order up to three pairs per trial at $1 a pop using the code LAZYCHIC when checking out. If the jeans are a success, consumers are charged the $175 price of their winning pick, while pairs that don't make the cut can simply be sent back within the week. Fashionista reports that the financial boon of Ayr's service is already visible, as the company's jeans sales leapt 10 percent last month. For denim consumers themselves, the concept is a breath of relief; the comforts of home are infinitely preferable to a sterile store environment. 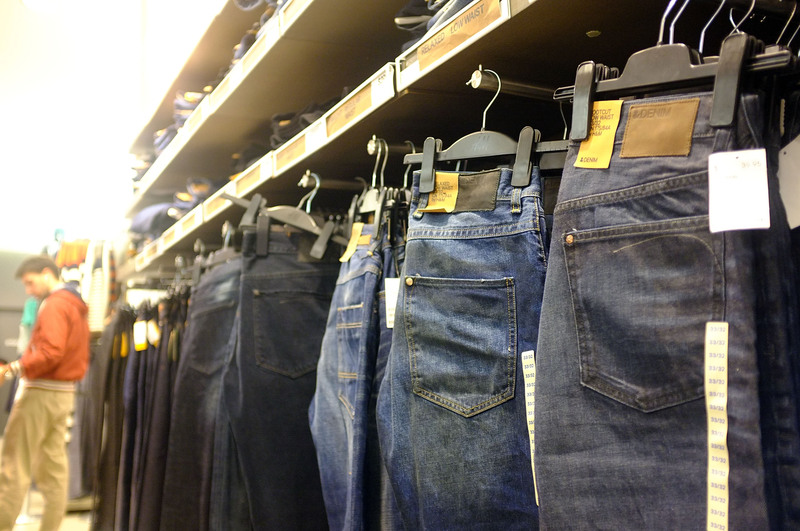 After all, what could be better than trying on jeans without the prying gaze of other shoppers?